Since 1951, ERS has moved to worked to improve the lives of older adults through innovative, quality senior living communities and community services to older adults. 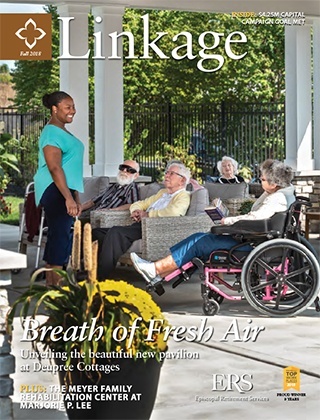 If you are looking to learn more about what’s happening around ERS and its senior living communities, read our Fall Linkage Magazine. Issues are published three times each year. The 2015 Martindell Award – Congratulations to Patrice Pryor!